In December 2018, WordPress released the version 5.0 update that introduced the Gutenberg content editor. This article aims to help resolve any compatibility issues you might encounter. Do your WordPress themes work with Gutenberg? All of our themes have been tested with Gutenberg and work without issue. 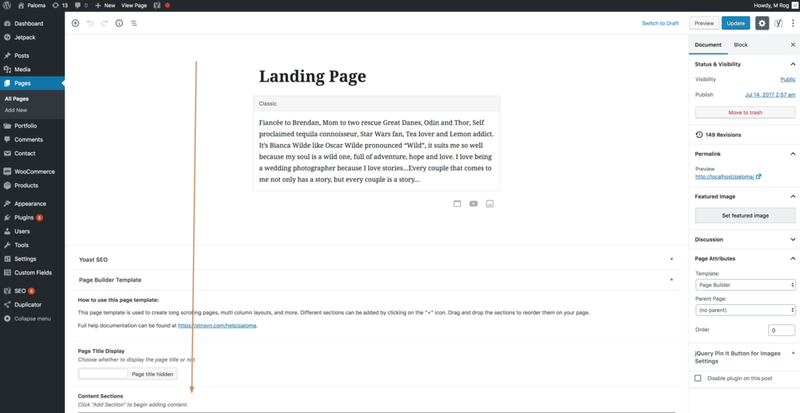 There are a couple Gutenberg features (specifically the full-width content block) that are not currently supported at this time, however there are no compatibility issues between the themes and Gutenberg. Unfortunately at the time of release, WordPress did not provide any user documentation for Gutenberg. We’ve found this YouTube video, which is a great starting point for learning about Gutenberg. I can’t edit my pages anymore. If you find you can no longer edit your pages after updating to WordPress 5.0, try some of these steps. My page editor is blank. On rare occasions, the edit page may appear blank, however refreshing the page should bring it back. Rather use the old style editor? Install and activate the Classic Editor plugin to restore your editing experience to the one you know and love. This is an officially supported WordPress plugin from the WordPress team, you can download it here.